Instead, the plane is powered by an "ionic wind", or electro-aerodynamic thrust. This comes from the movement of ions – electrically charged atoms or molecules. "This is the first-ever sustained flight of a plane with no moving parts in the propulsion system," said team lead Steven Barrett, an associate professor of aeronautics and astronautics at MIT. "This has potentially opened new and unexplored possibilities for aircraft which are quieter, mechanically simpler and do not emit combustion emissions." The wind is really a flow of ions, colliding millions of times with other air molecules as they're drawn to the negatively charged thicker electrodes. 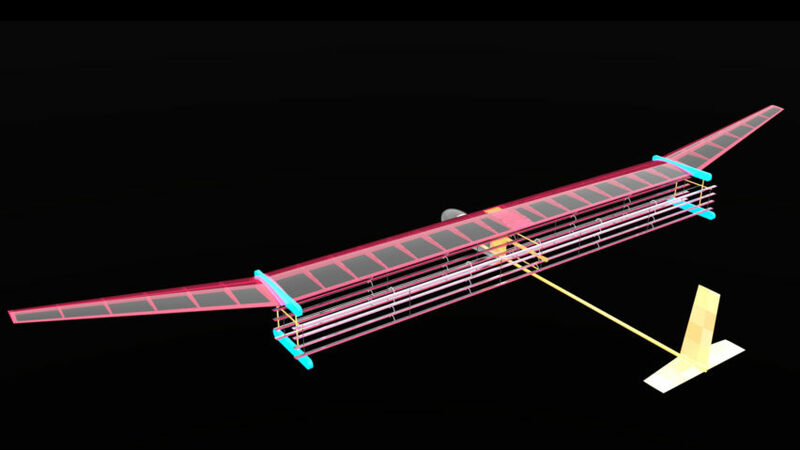 On MIT's plane, this scenario is realised through an assemblage of wires strung along the plane like fencing — thin wires at the front and thick wires at the back. He then came across the concept of ionic wind, and though it was thought to be more limited in its usefulness, Barrett did some "back-of-the-envelope calculations" while travelling and found that it could be a viable propulsion system. "It turned out it needed many years of work to get from that to a first test flight," he said. "This was the simplest possible plane we could design that could prove the concept that an ion plane could fly." Barrett and his team successfully flew the craft for 60 metres — the length of the largest indoor space they could find, MIT's duPont Athletic Center gymnasium. They repeated the feat over multiple tests.